SEMA Hall of Fame - Jim Bingham, 2015, Winners Circle Speed & Custom Inc..
Profiles of SEMA Hall of Fame inductees are not typically love stories. 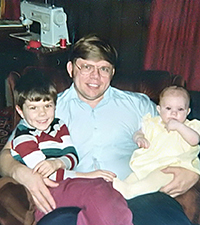 But you cannot tell the journey of Jim Bingham without it being one: Love of father. Love of wife. Love of aftermarket. It began in Indiana. Bingham grew up on a farm in Enos, which was small-town life to the fullest. “I went to a two-room schoolhouse for the first eight grades, and there were only two of us in my class,” Bingham said. His first employer was his dad, Leonard James. 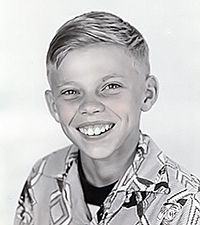 At the age of nine, Bingham was driving a hay baler on the family farm. By about 13, he was doing everything, acting as Leonard James’s right arm. Bingham went to nearby Morocco High School, and he pondered a career as a civil engineer building roads and bridges. But after a tour of Purdue, he told his father his plan, “and I could see the look in his eyes,” so Bingham stayed on the farm, then enlisted in the U.S. Army and served three years, specializing in missile defense. Outside the farm work and the military, Bingham had brief stints piecing together electronic circuit boards, working at a steel mill, putting up farm buildings across America, and as a specialty collection teller at a bank. But around 1966, he had an itch to come back to the farm. 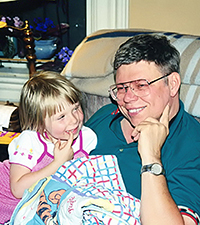 Thanks to that decision—as well as an opportunity to go along with his father to look at some farmland—he met his future wife, Linda. Soon, she would act as his right arm. By 1968, Bingham realized that he wasn’t making it financially by farming and joined a construction company that was building highway I-65 in Indiana. But it was not what he wanted to do. He answered a help-wanted ad for a counterman trainee at Lang Auto Parts and got the job. But Bingham did recognize supply and demand and suggested that the owner expand the store to ensure that parts were always in stock. The owner did not share Bingham’s vision, but a drag racer named Don Wiley did. By now, Bingham was 26 years old with a wife and twin daughters. So he and Wiley immediately found a building—directly across the street from Lang, their competition. They opened Winner’s Circle Speed and Custom in 1970 in Kankakee, Illinois. The business took off fast, and they opened a second store in Joliet later that year. A few months later, they had a third in Peoria. 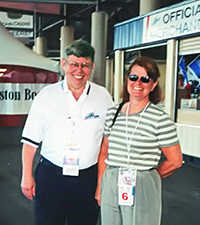 Bingham and Wiley parted ways about a decade later, and now Jim and Linda own three retail stores: Joliet, Peoria and East Moline. Linda is the controller and has been working at the company since day one. Bingham’s father passed away in 1993. “All of a sudden, the light started clicking,” he said. “I’m next and haven’t done what I want to do.” That translated into helping get Route 66 Raceway in Joliet built, followed by Chicagoland Speedway, also in Joliet. Bingham is one of the owners. He attended his first SEMA Show one year after Winner’s Circle took flight, and through the years, he has volunteered with the SEMA Membership Committee and various other committees, and he has been a board member for the Performance Warehouse Association. He has been active on the SEMA Board of Directors and received the association’s Chairman’s Service Award. 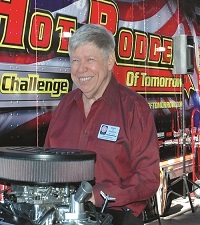 One of his greatest passions is his involvement in the Hot Rodders of Tomorrow Engine Challenge. In fact, Bingham currently has four members of the Hot Rodders Joliet team working for his company. And he is lucky enough to have members of his family at his side, too. His son Rodney James has taken the reigns of the Challenge, and grandson Noah works in the store. 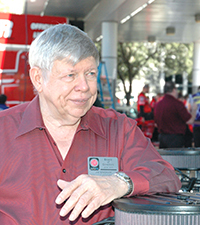 Despite his significant contributions, being inducted into the SEMA Hall of Fame was not on his radar. “I thought it would be neat, but I didn’t feel I was on that path,” he said.